Lisa is a lifelong, born-and-raised resident of Fayetteville, having graduated from Cape Fear High School. She holds two Associates Degrees from Fayetteville Community College in Banking and Finance and Business Administration. 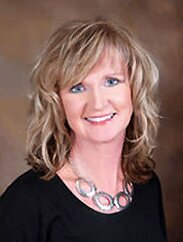 Prior to coming to Residential Mortgage Corp in 2007, Lisa had work experience as an office manager, bookkeeping and accounting. She is the accounting specialist here at RMC, and enjoys the fast pace of the mortgage business. Her hobbies include travel and shagging, and she is a regular fixture at North Myrtle Beach. She has one daughter.